The reactions to the subject become imbued with the nature of the medium -which in this case is alive with movement, and a rapid dynamism of both chance and prediction, instantly finalised before our eyes in a succession of repetition, or a flurry of single frames, images which speak of their sudden miniaturisation and rigid order as they condense onto an 8mm wide strip of film. 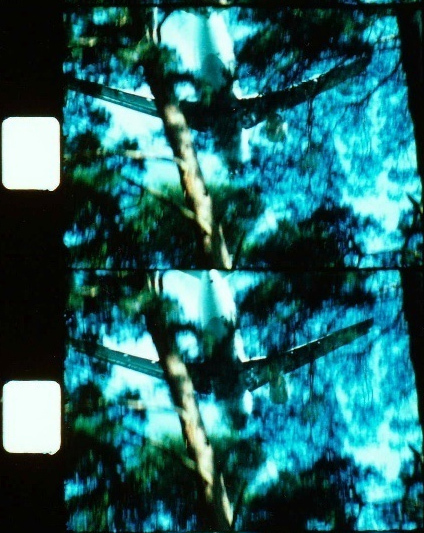 Although each individual film exists in its own right as an autonomous presence, for each screening program Fanderl assembles a selection of the works into larger reels, according to her thinking at the time. This creates a unique "montage" sequence for each occasion, and adds another layer to the way each film is percieved. "I find my subjects being on my way with a camera and opening my mind and senses to reality. The small Super 8 camera is an appropriate instrument to react immediately to what I perceive, helping me to find out and go deeper into what interests me. 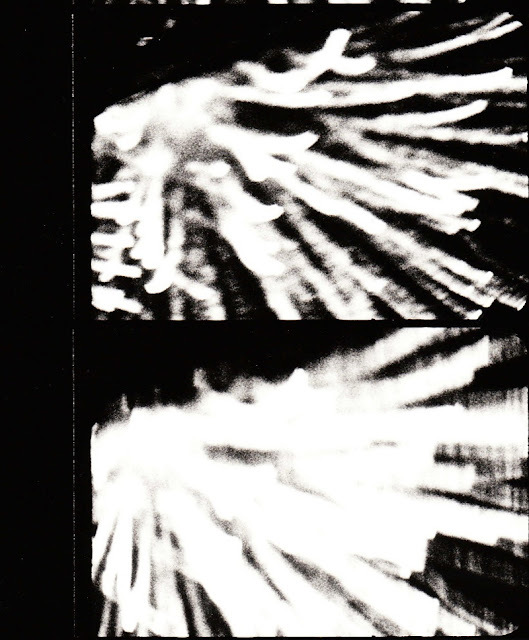 Simultaneously, I try to create a particular film form in correspondence with the subject. My films are made while I am filming. They preserve the chronological order and the intensity of my recording. There is no postproduction. What matters is the concentrated interplay with the subject. The camera is hand held. One feels the gesture like you do in a painted sketch or a drawing. The viewer senses my presence in the filmed situation and can follow all my decisions. I am inspired by patterns of movements, rhythms, forms, textures and colours when I transform into film what I see, feel, think and imagine, shaping images, shaping time. Born in Ingolstadt in 1947, Helga Fanderl studied German and Romance Languages and Literature in Munich, Paris and Frankfurt (1967-1973). After a period of focussing on poetry and writing she then went on to study art at the Städelschule in Frankfurt (1987-1992) and at Cooper Union in New York City (1992-1993). Her films are shown worldwide in film museums, cinemas, exhibition spaces and art galleries. Festivals include Media City Film and Video Festival, Winsor/Ontario; New York Film Festival, IFF Rotterdam, Toronto International Film Festival and International Short Film Festival Oberhausen, among others. 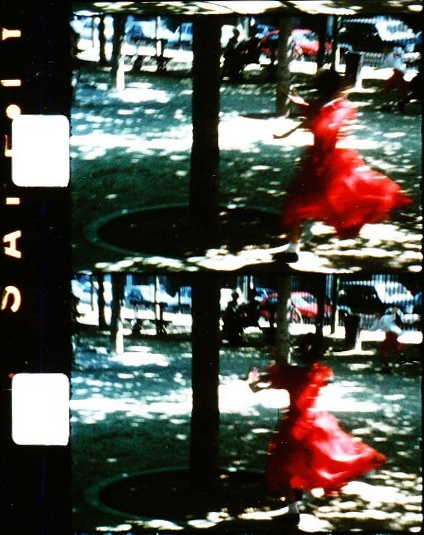 She has also presented selected films in exhibitions and installations including Fragil(e), Städtische Galerie Erlangen (2007); Nuits Èlectriques, Moscow House of Photography Museum/Mulitmedia Art Museum, Moscow and LABoral Centro di Arte y Creación Industrial, Gijón (2011); Films sur pierres, Goethe-Institut, Paris (2012); Marieluise Fleissers Kleider, Kunstverein Ingolstadt (2014) and Film Live, Das Esszimmer, Bonn (2015). 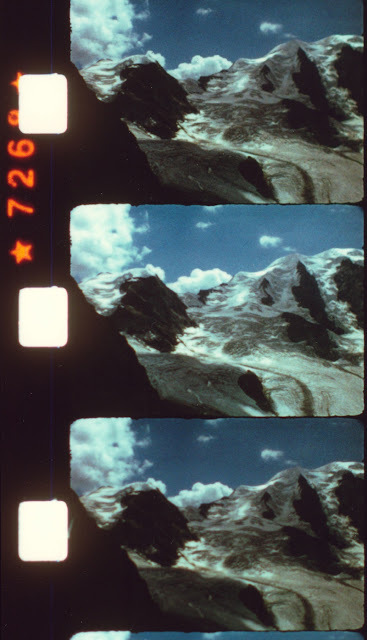 There is a very good in-depth essay on Helga Fanderl's films by Nicky Hamlyn which you can download from his website here.